Jamison Suter (JE ’90 and Yale School of Forestry and Environmental Studies ’93) is the Chairman of EFA, which works for environmental protection and restoration in West Africa. In addition, he is also an oenophile of long standing: he began his own cellar back at Yale, where he also taught fellow classmates a thing or two about appreciating good wine. Prior to his environmental and social work, Jamison also worked in the wine industry, cementing his life-long passion – talk about multi-talented! Jamison has generously offered to donate wine from his own cellar and be our sommelier for the evening. 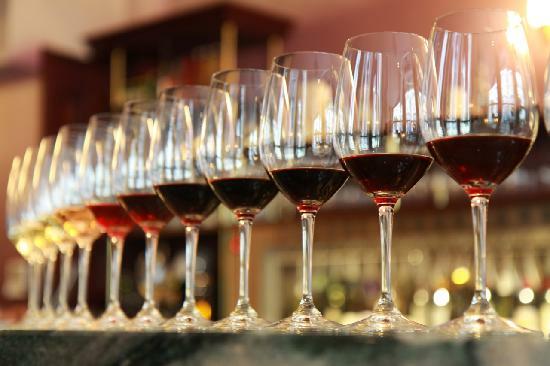 This event should appeal to both amateurs and enthusiasts alike who want to learn more about the range and subtleties of red varietals and what makes certain wines so special and valuable. It may inspire you to start your own cellar. The emphasis of this evening is on taste and enjoyment and what appeals to an individual palette, and has a firm maximum of 20 people. THIS EVENT IS NOW AT FULL CAPACITY AND REGISTRATION HAS CLOSED. To be placed on the waitlist, please e-mail secretary@yale.org.uk.